Hi friends! I have a special treat for you today. My super duper awesome hubby made a quick little video tour of what we’ve gotten done on our greenhouse so far. I couldn’t make it myself because A. I don’t really know what I’m talking about, and B. I hate hearing my own voice on video. So stay tuned for that. 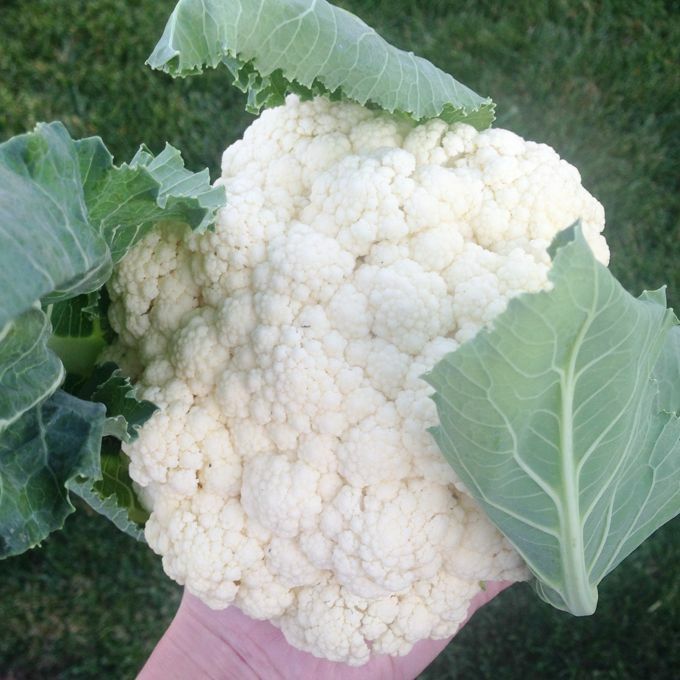 Our first cauliflower ever was harvested! We’ve harvested 2 heads so far, and have 4 more that are almost ready. I wanted to see how they tasted, so we kept it simple and simple steamed them. It was seriously the best cauliflower I’ve ever had in my life! It was so flavorful, nutty and creamy. Next year we will definitely plant more!! 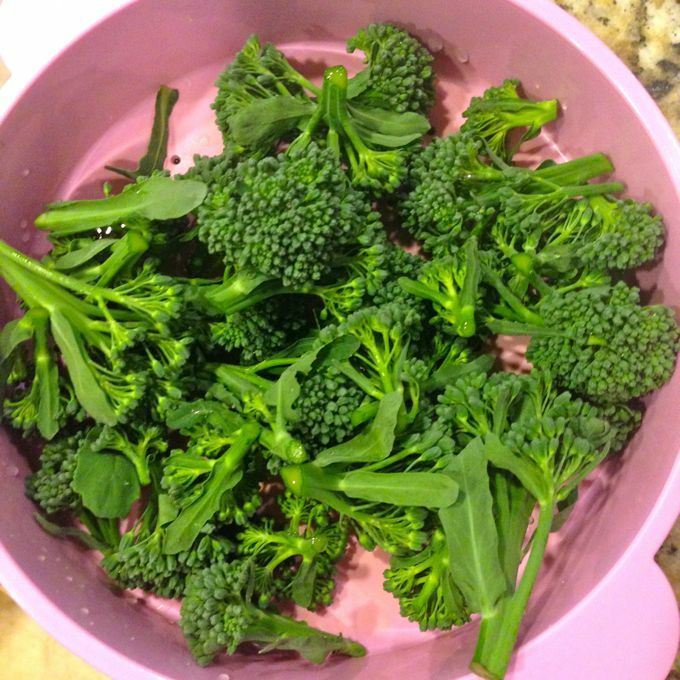 I mentioned last time that our broccoli would grow extra little shoots after we harvested the main heads. I harvested a bunch of the side shoots this week! They were steamed and added to an omelet! The other thing that’s really been taking off lately is our lettuces! 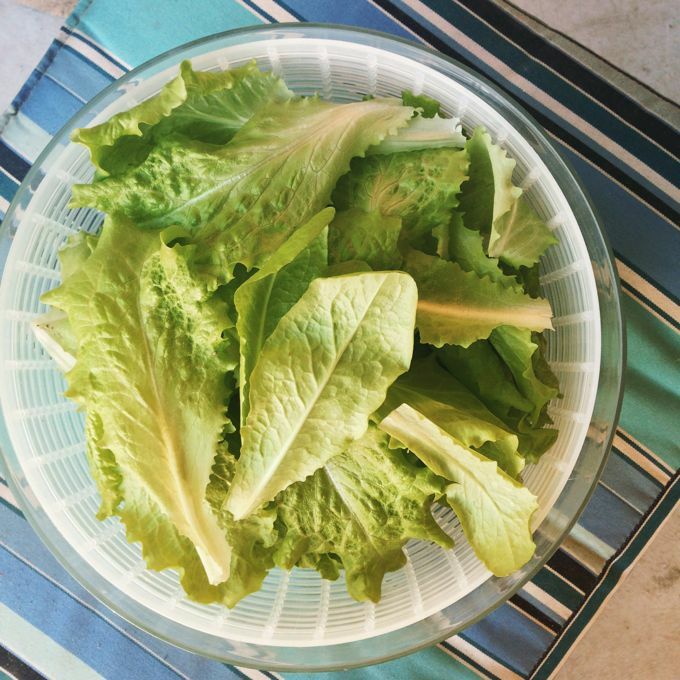 I’ve harvested a bunch of butter lettuce. These particular ones became an amazing Taco Salad. 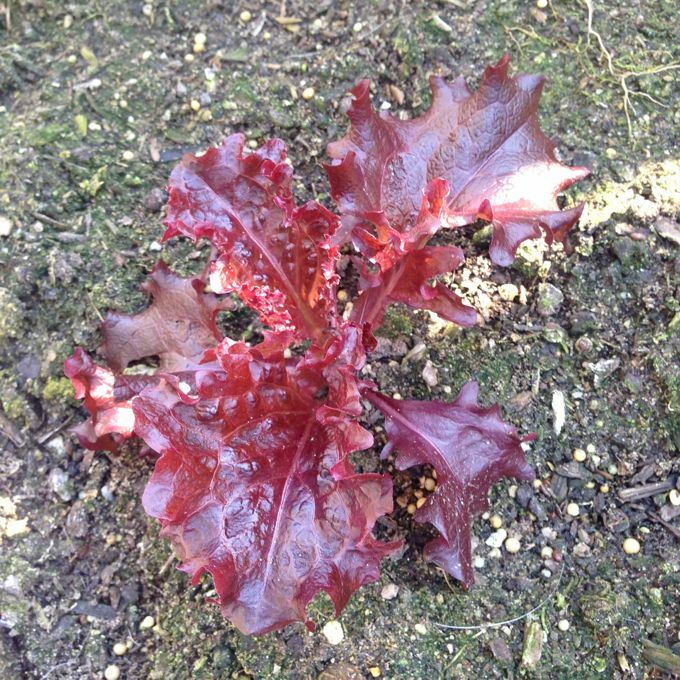 And our red leaf lettuce is starting to take off, too! Alright, back to the greenhouse. We made some good progress over the last two weekends. First, the frame went up. Then we started putting on the walls. I helped and got to use power tools! 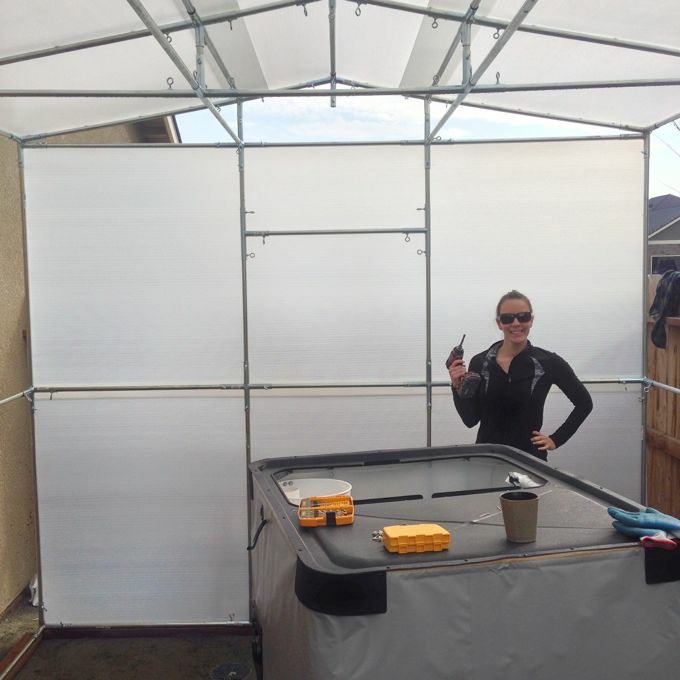 The greenhouse is just about done now, but we still need to finish setting up the aquaponics system. Check out the video below for a tour! Harvest Fridays - Broccoli and Cauliflower! Your garden is so inspiring to me! So excited about your greenhouse. You must keep us updated with how everything goes. 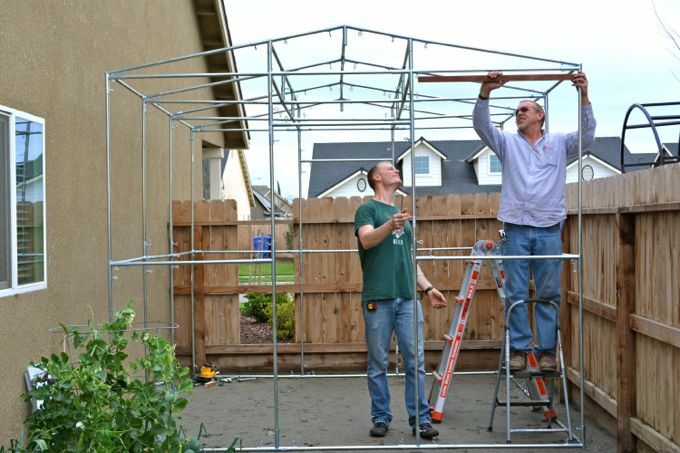 Shawn and I have been toying around with the idea of a greenhouse so we can keep our garden going all year. Ooooh! You should! You have plenty of room for it! But honestly you can grow so much in Cali year round you almost don’t even need it! You guys are gardening pros! I need you to teach me a thing or two, I wish I had a green thumb. Loved the video tour, very impressive greenhouse! I’m so impressed with the greenhouse! I kind of LOLed when your husband made comments how its simple design. It doesn’t look simple to me! Your garden is amazing and oh my gosh, yay for the greenhouse! So impressive!! Thanks!! I hope we get lots of awesome stuff growing in it! !